This is THE PLACE for family fun and entertainment. Southern Comfort is a Vacation Cabin that is perfect for family or small group, and this cabin really lives up to its name, featuring plenty of room for the entire family, wireless internet, and a fabulous gaming area on the lower level! There's never a dull moment at Southern Comfort -- Foosball, Ping Pong and Regulation Pool Table, along with a Dart Board, Flat Screen TV, and the coveted Golden Tee Golf Arcade game! The lower level also features a full bath and separate area with day bed/trundle which comfortably sleeps 2, and serves as a 4th sleeping area. Two bedrooms are located on the upper level, one with twin bunk beds, with a Queen size bed in the 2nd bedroom. The third level also has a full bath and a loft area with futon sofa and TV. The perfect spot for quiet time, relaxing or enjoying a good book. The private master bedroom on the main level features a King size bed with full bath and spa tub. A hallway joins the Master to the open living area, which includes the Living Room, Dining Room and Kitchen. Step out to the wrap-around deck on main level and stoke up the gas grill for a gourmet meal, or take a relaxing soak in the hot tub! There is also a seating area on the side deck with adirondack chairs, offering the perfect spot to enjoy a refreshing beverage while taking in the great outdoors. The living room has luxurious leather sofas to lounge on while watching Satellite TV or DVDs on the new Flat Screen TV. The centerpiece of the living room is the beautiful stone fireplace (gas logs). Although you may not want to leave Southern Comfort, it is conveniently located to Unicoi State Park and the village of Alpine Helen GA. It's the perfect place for your next family vacation! All you need to bring is...food, personal items and a hairdryer. Southern Comfort is approx 7 miles from Helen! We really enjoyed our stay at the Southern Comfort cabin. It was perfect for our family as it has plenty of room, beds to sleep and we loved being able to bring our dog. The cabin had everything we needed for cooking and a big table to gather around for eating and talking. I only communicated by email but it was fine. Easy to reserve and everything we needed to know was sent to us prior to our trip. Very lovely cabin, clean, quiet, peaceful. Great location too. Southern Comfort is a wonderful property with great amenities. It easily accommodate our family of 10 and our dog. We enjoyed the game room and the hot tub. Absolutely a place we would happily return. They were friendly and courteous. It was a perfect home away from home. We had everything we needed, everywhere! The kitchen was well stocked, we had plenty of towels. We didn't want for anything. Thank you for a great getaway and we look forward to visiting again. We absolutely loved every minute !! It was a vacation that we will not forget !! We were only there for 3 days wish we could of stayed longer !!!! We really enjoyed our stay. The cabin was spotless and in great condition. It had a lot of activities/amenities to entertain all of the kids and grown-ups. All communication with the members of the team was respectful, all questions were answered promptly, in short, my experience was excellent. Our experience could not have been better. The cabin was beautiful, warm, and clean. It had the nice wooden interior country cabin feel. The kitchen had everything we could ask for to make nice family breakfasts and dinners. The cabin had plenty of games to play, extremely comfortable beds, a nice spa, porch seats to sit and enjoy coffee in the morning and a nice fire pit. It was a great size for our family and was definitely even roomier than it appears on the pictures. The cabin is also very close to everything we wanted to do. 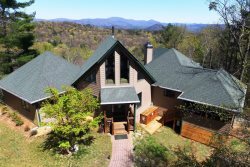 Minutes from Helen, Unicoi, and the horseback riding and zip-lining ranch. I highly recommend staying at Southern Comfort cabin, we'll certainly be back and the staff at Pinnacle could not have been nicer. Very responsive as always. No concerns at all. Had a wonderful time at a wonderful cabin! Most certainly plan to rent from Pinnacle in the future. We love Southern Comfort. There is enough room for a large family. The game room is exceptional with enough to keep the entire family entertained at the same time. The game room enables a family to play, laugh, and have fun together without having to spend extra money on entertainment. The only experience we had was with the office team via telephone during the booking accommodations. Property was excellent. We had four auto's and the driveway afforded good parking. Game room was excellent as was the hot tub. We loved the house. Great location and we love the cabin feeling in the house. The only issue we had was with the central air. It would never get below 78 degrees. We had to actually turn it off and open the windows. It wasnt to bad since it wasnt really that hot outside but it might need checked out before temperatures go up. Also we only had 8 people staying in the house and after 2 or 3 showers there was no hot water.